The holidays might be over but the season of gift giving hasn’t ended yet. Don’t let the idea of finding the perfect Valentine’s Day gift for your sweetheart feel stressful. You can show off your love and make your significant other feel special with a beautiful piece of fine jewelry. The best part about giving the gift of jewelry is finding something that fits her style – from the laid-back adventurer to the girl who loves glam. She will forever appreciate your effort to find the piece that perfectly fits her personality. 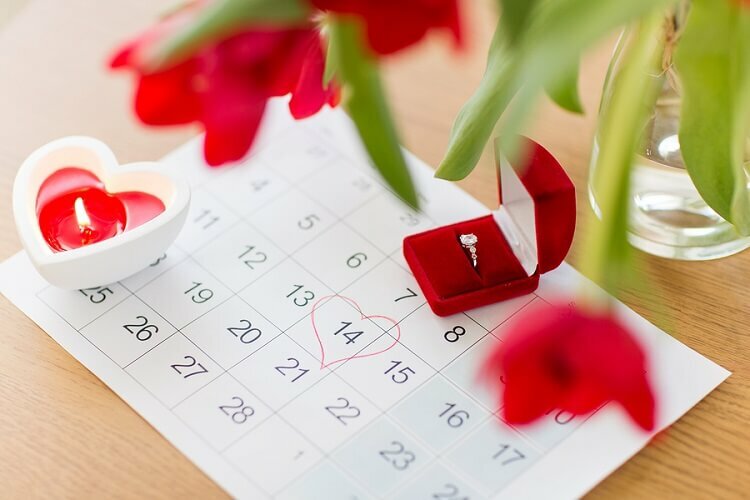 Before heading to the jewelry store or hitting the keyboard for online shopping, consider a few important factors when choosing the right item for your valentine. Your budget: Set a realistic budget before you shop. You can’t put a price on love but you might need to put a price on your gift. Your relationship: The seriousness of your relationship should dictate your gift choice. A few months of dating require a different gift compared to a few years of marriage. Make sure a heart-shaped ring doesn’t scare away a brand new girlfriend. Personal style: Keep your sweetheart’s style in mind; there is no point in buying an item of jewelry she won’t wear. Start your shopping by knowing her ring size, preferred metal and gemstone colors, and if she likes simple or statement pieces. Heart-shaped ring – This can be the perfect gift for your significant other. There are many options, so find the design and stone color that fits her personality. Heart necklace – This often comes in a pendant and chain form and they are available in every style of metal, stone and setting. Diamond tennis bracelet – A tennis bracelet is a beautiful staple for any woman’s jewelry collection. Look for clarity and uniformity of the diamonds. Luxury watch – This is perfect for the woman or man in your life, and is available in many brands and styles. Look for good construction and watch movement when shopping. Your selection needs to be based on your partner’s lifestyle; for example, if your significant other is active you may want to choose a waterproof option. Engagement ring – This season of love might have you thinking about “popping the question.” An engagement ring will symbolize your life together so choose one that represents her personality and your relationship. Birthstone jewelry – Show her that you love the traits that make her special. Choose from rings, earrings, necklaces and bracelets that showcase her unique gemstone. Earrings – You can never go wrong with diamond stud earrings. Or choose something bolder, like a dangle earring for an evening statement. The options are endless. Unique or custom – If she prefers a personalized look, choose something handcrafted that you selected with her in mind. If this season of love has inspired you to make a special purchase for your valentine, make a selection and see the joy on her face when she opens your gift. Then, contact Lavalier to get a personalized jewelry quote and safeguard the fine jewels that symbolize the love your both share. Top 10 Jewelry Gifts for Valentine’s Day. www.overstock.com. (accessed Jan 16 2019). 10 Best Valentine’s Day Jewelry Gift Ideas. www.mountzjewelers.com. (accessed Jan 16 2019).